Questions around sexuality have been major ones for the Episcopal and other mainline churches in recent years. Those questions have heated up substantially in the last couple years in most mainline denominations, particularly in the Episcopal Church. 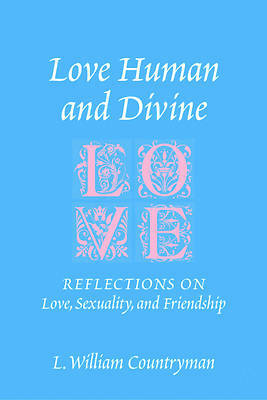 In this short book, based on lectures that Bill Countryman has given in the US, as well as abroad, he explores the intersection of sexuality and spirituality, and their relationship to the biblical texts, to our relationship to God, and to one another. Christians have long tried to separate eros and agape--eros being the more passionate form of love and agape being the "holy" one. Countryman argues that this is an over-interpretation of the linguistic differences of the original Greek, and that there can be no difference between the two. Christians have been very uncomfortable with the idea of passion, but have been unable to completely dispense with it, given that The Song of Songs is part of our Bible and that God is portrayed there as passionate. In this important book, Countryman explores how God's passion and our passion meet, in communion with one another, and in community.